England defeated West Indies by a massive 137 runs in the 2nd T20I match to take an unassailable 2-0 lead in the series. Thanks to Joe Root's 55, Sam Billings' brilliant knock of 87 off 47 balls and bowlers’ efforts, the visitors won the match with ease. Jason Holder won the toss and decided to field first. It was a great start for the hosts as they took the important wicket of Jonny Bairstow cheaply for 12 runs. Fabien Allen then picked up the important wickets of Alex Hales and Joe Denly. Eoin Morgan was dismissed by Carlos Braithwaite for just one run. At the end of 6 overs, England were reduced to 39 for 4. After the power play overs, Joe Root and Sam Billings steadied the innings with some lovely stroke play. Joe Root reached his half-century off 36 balls while Sam Billings scored his fifty off 36 balls. Joe Root and Sam Billings added 82 runs for the fifth wicket. Joe Root was run out for a well-made 55. Sam Billings played an outstanding knock in the end and was dismissed off the last ball of the innings, for his best career-best 87 off 47 balls. 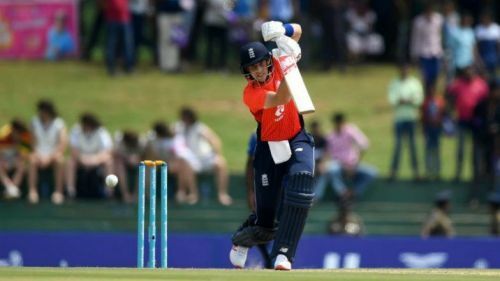 Billings and David Willey added 68 runs for the sixth wicket to help England post a competitive total of 182 for 6 in 20 overs. Chasing the target of 183 runs to win, West Indies were in huge trouble when Chris Gayle, Shai Hope, Darren Bravo, Jason Holder, Nicolas Pooran and Fabien Allen were dismissed when the score was just 22. It was a great display of bowling by England to put West Indies batting under huge pressure. England kept picking wickets and bowled out the hosts for a paltry total of 45 runs in 11.5 overs. The visitors won the match by a massive 137 runs. For England, Chris Jordan was the pick of bowlers with four wickets while Plunkett, Adil Rashid, and David Willey took 2 wickets each. Brief scores: England 182 for 6 in 20 overs (Sam Billings 87, Joe Root 55, Fabien Allen 2/29) beat West Indies 45 in 11.5 overs (Shimron Hetymer 10, Carlos Braithwaite 10, Chris Jordan 4/6, Adil Rashid 2/18) by 137 runs.